"An Introduction to the Biblical Theology of the City of God"
At the very heart of God's plan for the world stands an extraordinary city. Beginning with the garden of Eden in Genesis and ending with the New Jerusalem in Revelation, the biblical story reveals how God has been working throughout history to establish a city filled with his glorious presence. 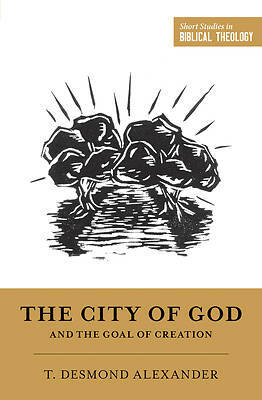 Tracing the development of the theme of city in both testaments, T. Desmond Alexander draws on his experience as a biblical scholar to show us God's purpose throughout Scripture to dwell with his redeemed people in a future extraordinary city on a transformed earth.